The summit, with the theme: “Activating Diaspora Investments for a Diversified Economy,’’ is aimed at attracting investments into the emerging diversified Nigerian economy. The event was organised by the office of the Senior Special Assistant to the President on Foreign Affairs and the Diaspora, in collaboration with Nigeria Diaspora Alumni Network (NiDAN). “In 2017, we launched Nigeria’s first-ever Diaspora Bond, we also launched our first-ever Sukuk and Green Bonds, all of which are investment opportunities for you. We will shortly be issuing a second Sukuk Bond, and there will also be subsequent Green Bonds available for you to invest in. “These initiatives and many more will be driven to implementation by the newly-established Diaspora Commission, working hand in hand with other government agencies, the private sector and the Diaspora community.’’ Represented by the Vice President, Prof. Yemi Osinbajo, Buhari said that the Federal Government would support whatever would facilitate the mobilisation of investments and talents into Nigeria. 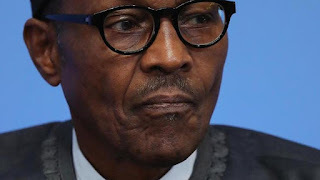 Buhari said that Nigerians abroad were contributing immensely to economic growth as Nigeria was one of the leading countries in the world in terms of Diaspora remittances. According to him, every year, Nigerians abroad send back more than 20 billion dollars home, almost the equivalent of the federal budget. He said that though the foreign investments had ebbed and flowed over the years, the remittance flow, a large percentage of which was informal – had mostly remained stable. “The Nigerians in Diaspora, like most African Diaspora, have an emotional connection with their homeland that has impelled them to maintain contact with their home countries. “The internet and social Mmdia have of course made it a lot easier for you to stay connected with home. “You can read news online, contact family and friends cheaply on instant messaging apps, and generally stay informed on events and happenings as they unfold, and on top of this you have a personal stake in the future of what you will always consider to be your home country. The president said that the Federal Government was creating an enabling environment that would allow Diaspora investments to be made in a structured manner in order to bring maximum benefit to the Nigerian economy. He said that Nigeria had one of the most resilient, hardworking, intelligent and resourceful people in the Diaspora, in every field of human endeavour, adding that it would be very tragic if their immense potential was not tapped. The president said that his administration’s Presidential Enabling Business Environment Council (PEBEC) was established in 2016, with the aim to be ranked among 100 in the World Bank’s Doing Business index by 2020. Buhari said that in 2017, Nigeria rose on the ranking by 24 places, its best performance ever. He said that Nigeria had added six million new taxpayers since 2015, representing 50 per cent increase in the taxpayer base as part of efforts at diversifying government revenues. According to him, inflation is down dramatically from 18 per cent in 2017 to about 11 per cent. He said that the Nigerian economy had continued to attract significant capital inflows, with a total value of capital importation into Nigeria in excess of 16 billion dollars in the first half of 2018.